Preheat oven to 350 degrees. In a baking dish layer onions; then layer tomatoes on top. In a small bowl add cheese, bread crumbs, oregano, garlic, salt, and pepper. Stir to combine. Sprinkle mixture over top of tomatoes, covering evenly. Drizzle oil on top. Transfer to oven and bake for about 20 minutes, checking often to make sure it does not dry out or burn. Remove from the oven. Remove from pan to a clean cutting board. Using a large sharp knife, coarsely chop. Transfer to a large serving bowl. Add pasta and gently toss to combine. Serve cold, warm or hot. Makes 8 servings. The better the quality of tomatoes, the tastier the finished product will be. 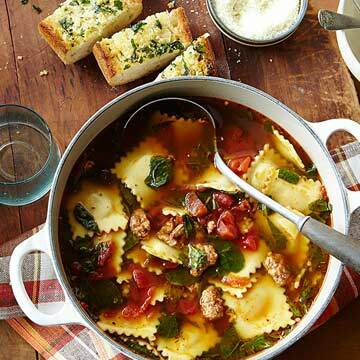 You can also easily vary the amount of ingredients to suit your taste buds. Preheat oven to 350 degrees. In a medium or large skillet cook chile pepper and onion in hot oil until tender. Remove skillet from heat. Carefully add tequila. Return to heat; simmer, uncovered for 15 to 30 seconds or until most of the tequila has evaporated but vegetables are still moist. Spoon mixture into the bottom of a 6 x 7 inch oven-proof skillet or a 2 cup au gratin dish. In a medium bowl toss cheese with flour; sprinkle cheese mixture over vegetables. 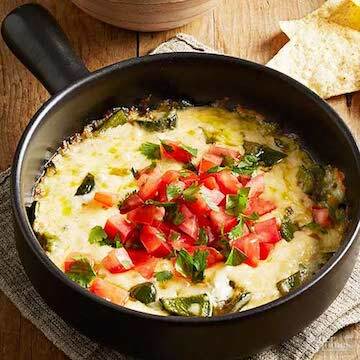 Bake about 10 minutes or just until cheese is melted. Sprinkle with tomato and cilantro. If desired, serve with tortilla chips or serve in warmed tortillas topped with cooked chorizo. In a large bowl combine Italian sausage, ground beef, the chopped pepperoni and the salt; mix well. Using your clean hands, shape meat mixture into four ¾-inch –thick patties. For a charcoal or gas grill, grill patties on the rack of a covered grill directly over medium heat for 14 to 18 minutes or until done (160 degrees), turning once halfway through grilling time. Toast bread slices on the grill. 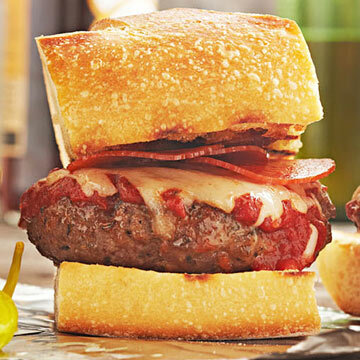 Serve burgers between toasted bread slices topped with sauce, cheese and if desired, pepperoni slices. In a large skillet, cook sausage over medium heat, stirring occasionally, until no pink remains. Drain and set aside. Meanwhile, in a Dutch oven combine chicken and beef stock and undrained tomatoes; bring to boiling. Add ravioli and cook 7 minutes. Add sausage and return to boiling. Stir in spinach to wilt and then add basil. Divide among soup plates and top with cheese. 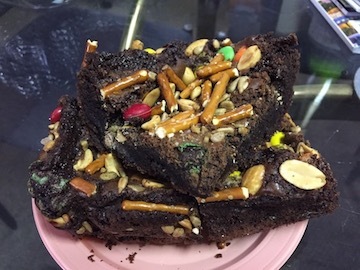 1 ½ cups trail mix ingredients (such as salted peanuts, pretzel sticks, dried cranberries, raisins, chocolate pieces and/or candy-coated milk chocolate pieces). Line a 13 x 9 x 2 inch baking pan with heavy foil, extending foil over edges of the pan. Butter the foil and set pan aside.